Hello lovelies! 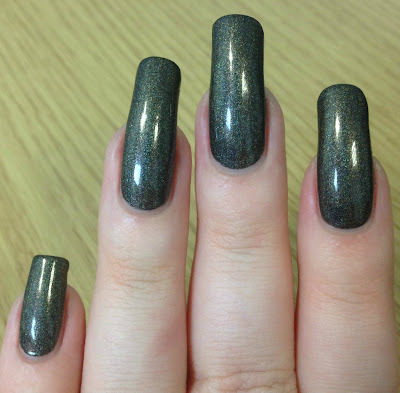 The lovely Sharon from Opulent Essences recently asked me and Kirsty (FairyTales Nails) to swatch some polishes for her, and I couldn't be more flattered. If you read my blog often you will know how much I love the brand. 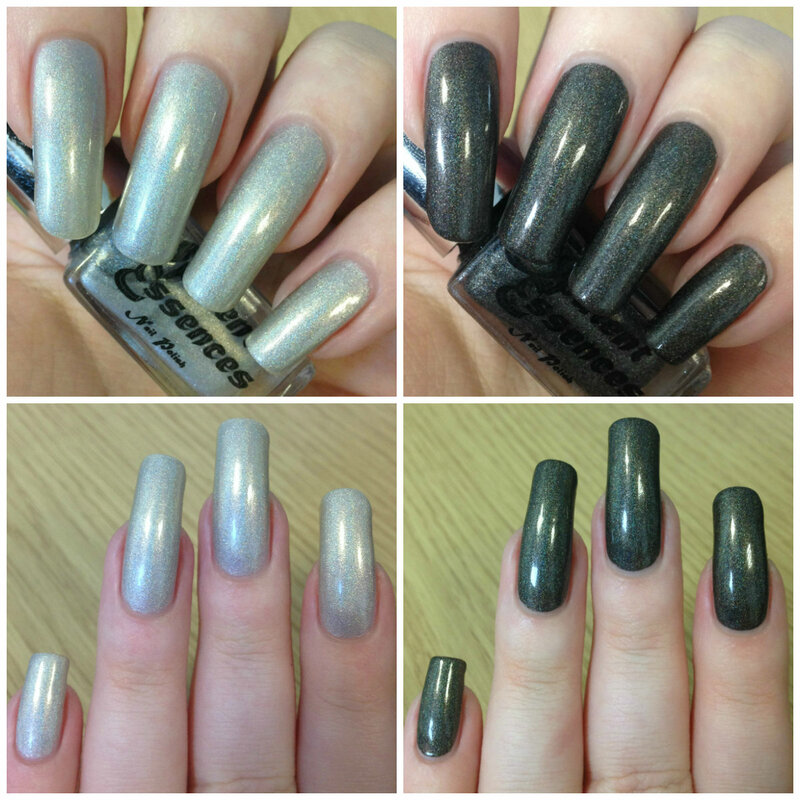 Today's post will feature new holographics 'This Is Opulence' and 'Opulent Omen'. Read on for full swatches and more info! 'This Is Opulence' is a soft silver holographic. The formula was so smooth and easy to apply, and dried very quickly. It is fairly sheer so I think it would work great as a holographic topcoat. It can be built up, although I still could see a slight nail line on the fourth coat. The holographic sparkle distracts from it enough that I honestly didn't mind. Below is four coats and topcoat. 'Opulent Omen' is a black holographic. Again this was very smooth and easy to apply, and dried quickly. It was very opaque on the first coat, and fully covered with two. Topcoat helps bring the holographic out more, which in turn makes it look slightly 'less black' (although it is still definitely black). Below is two coats and topcoat. What do you think? I love them both! 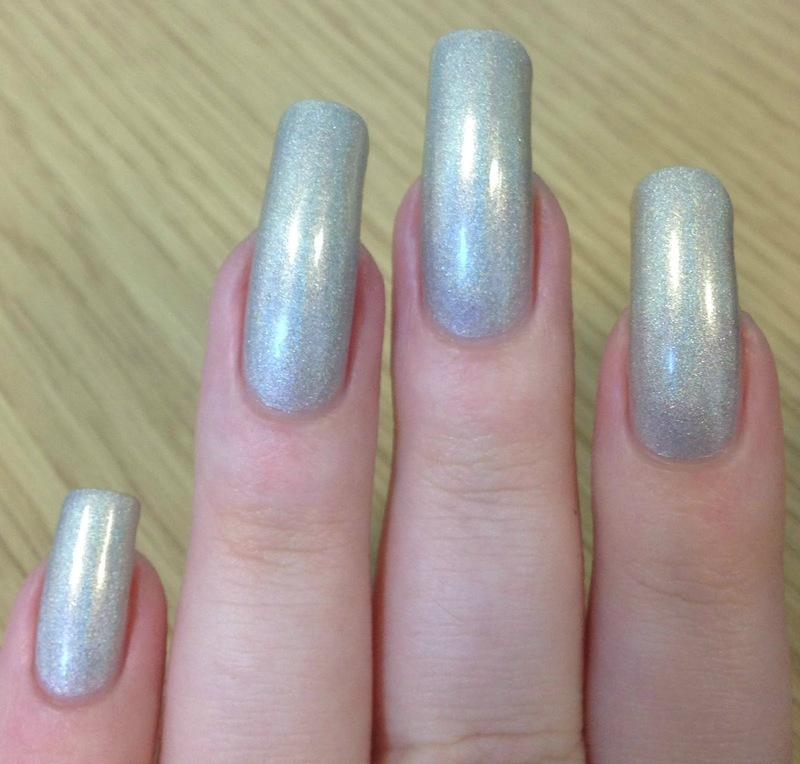 'This Is Opulence' is so soft and delicate, and I can't wait to try it as a holographic topper. I'm also a bit too excited that 'Opulent Omen' matches my new black holographic Dr Martens (on Instagram here). I definitely need to wear them together! Both polishes are currently available on Opulent Essences etsy store here. I'd also suggest following on Instagram here for more swatches and sneak peaks of upcoming products. I like both but Opulent Omen is rad! I love dark holos like that. Ohh I really like the second one Omen, the sparkles are very slight, which I love! The first one I agree, even though it is very slightly sheer, I actually think it makes it better, gives the sparkles more definition. I would like omen in my collection, sadly the first would make me look even whiter then I already am lol! These are both very pretty-- I really like that This Is Opulence isn't a super duper linear silver because I feel like those are everywhere (and not really my favorite). I like that it has a softer holo finish! How pretty are these! I love that they're understated and elegant but still very sparkly. I also love your nail length, they're so long and gorgeous!